One of theappliances that can not miss in a home is the TV, whether you place it in the room, in the dining room or in your bedroom, not really interested in the place, what matters is that there is a corner you can enjoy this friend. There are homes that are inclusive environment for this and other types of artifacts, because of course there is nothing more comfortable to do, for example, the party with friends, or that movie with friends in a corner completely independent. 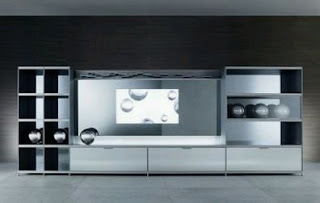 Such is its importance that even exist exclusively designed furniture, created to place electrical appliances for (TVs, DVDs, stereos, etc..) And in doing so, do not break with the decor and style of the environment where are placed. 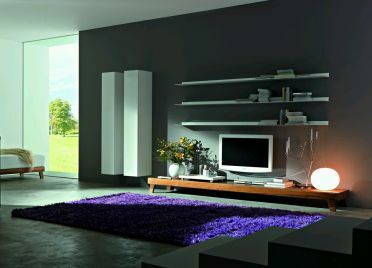 Here are some very interesting designs that will surely enjoy. 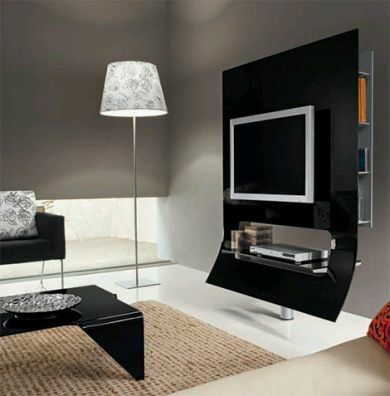 TV cabinet, straight lines and modern design. Spacious and elegant cabinet with compartments for different devices. Beautiful modern furniture in black and white, which makes the TV look like part of the decor. 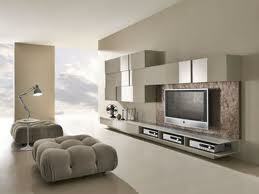 If you prefer wood or colors of this type, here appreciate how well they combine with the TV. If you seek elegance above all, this proposal is right for you. The idea is that both the furniture you choose as your TV and your favorite devices, do not break with the decoration of the environment, and this is a good example. 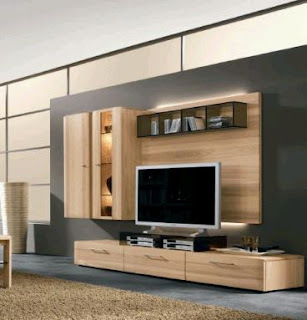 Beauty, elegance and simplicity, are the words that best describe this furniture. 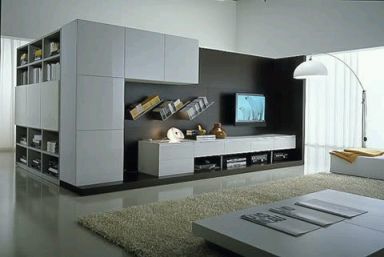 Modern Proposal, with elaborate design based on straight lines, the ornaments are the perfect complement to this type of furniture. 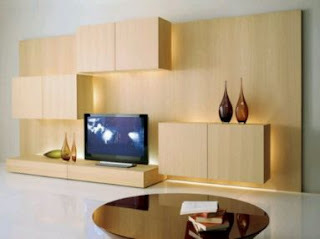 Furniture ideal for rooms and lobbies, their shelves are simple but functional and beautiful. 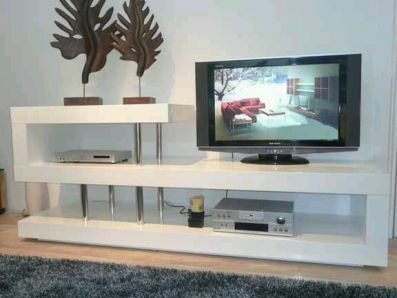 You only have to be imaginative enough to come up with a very unique furniture setup for your greatest entertainment source at home, the TV. The designs presented are truly inspirational. 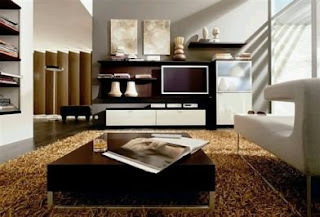 I think selecting what is best of your home depends on what you want to realize. 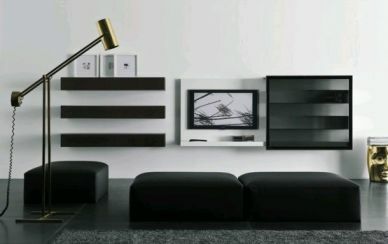 Comfort should be the #1 priority, and aesthetics should come second.